This contemporary sofa provides not just comfortable seating, but also a flawless solution for hosting extra house guests. While this full size sleeper sofa is practical, it certainly hasn't done so at the expense of style. The tufted back has been paired with flared arms to bring in a sophisticated touch, and the warmth in the grey toned upholstery makes this sofa a match for most any color scheme. The Alsen Contemporary Full Sofa Sleeper with Tufted Back by Benchcraft at Simply Home by Lindy's in the Hickory, Morganton, Lenoir area. Product availability may vary. Contact us for the most current availability on this product. 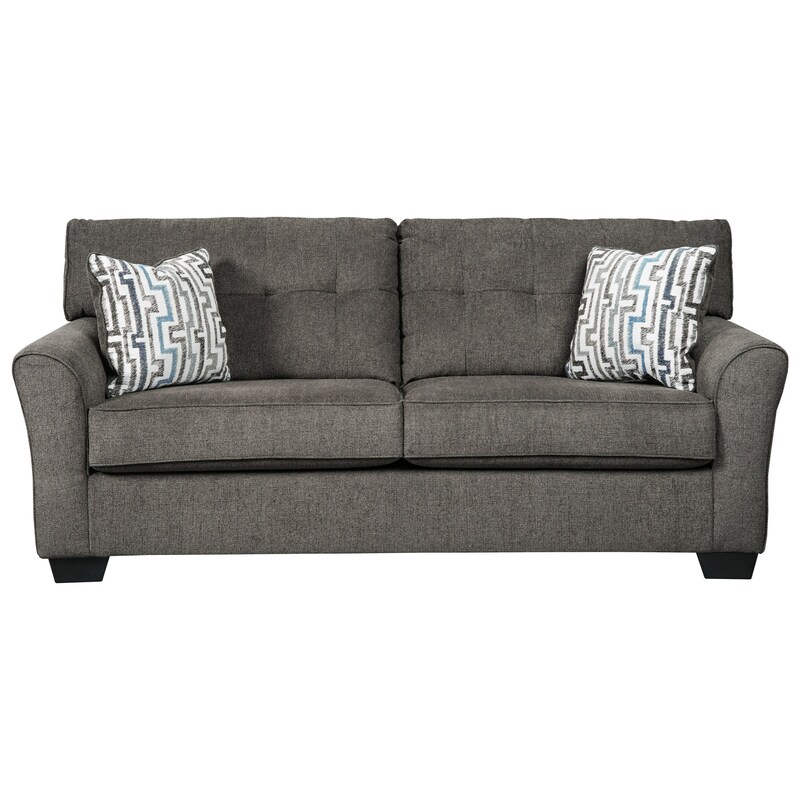 Length (depth) with Sleeper Open 89"
Subtle details like the gentle flare of the curved arms, exposed legs, and tufting on the cushions helps create the relaxed contemporary style of this collection. Additionally, the plush cushions and neutral yet warm fabric tone completes these pieces with the comfortable feel and inviting aesthetic you want in your living room. The Alsen collection is a great option if you are looking for Contemporary furniture in the Hickory, Morganton, Lenoir area. Browse other items in the Alsen collection from Simply Home by Lindy's in the Hickory, Morganton, Lenoir area.